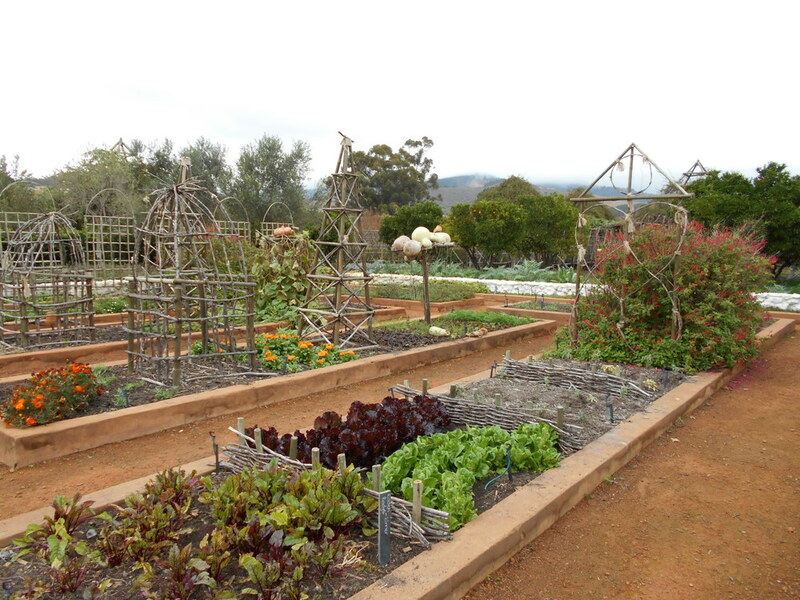 One of my favourite places to visit when I am in the Cape is the beautiful winefarm near Paarl called Babylonstoren. 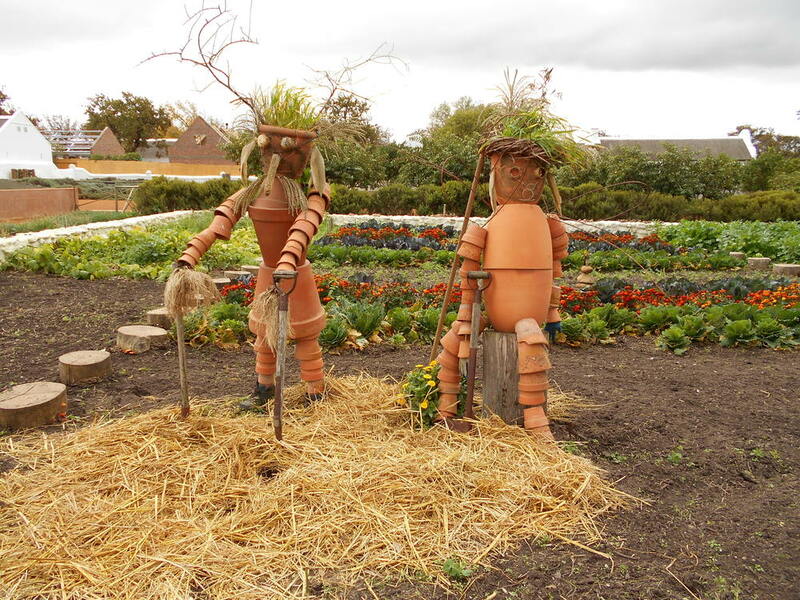 Anyone who loves gardens and plants will be in their element exploring this formal vegetable garden- there is so much to discover! With its wide variety of herbs, vegetables, roses, fruit trees, indigenous plants and areas of interest all beautifully co-ordinated; combined with an incredible attention to detail makes this garden worth revisiting each season. When I visited now in May was very different to the last time I was here in September last year: instead of the fruit trees having blossoms they are now heavy laden with citrus - naartjies, oranges, lemons, guavas. You can smell the citrus in the air and the sound of flowing water follows you everywhere. A lot of the fruit trees are deciduous and have lost their leaves which gives the garden a naked beauty that makes you aware of the changing seasons and the effect of time. The display in the "Puff Adder" (a snakelike tunnel made out of timber slats) is on the Spurflower plant or Plectranthus spp. with some beautiful plants on display. This is an indigenous plant group that belongs to the family Lamiaceae. Plectranthus is indigenous to South Africa and often grows in shady areas. On a previous visit they had a Clivia exhibition. But the exhibition is no longer necessary because they have planted a massive bed of Clivias running all along the pathway under the trees - the River and Clivia Walk. I love all the timber trellises and obelisks that they have created - it really gives the garden a lot of character and compliments the main wooden structure of the walkways. You probably can't see them in this photo because they are so small but there were Swee Waxbills here that I enjoyed watching. The whole garden was actually filled with birds and birdsong. Even though it was an overcast day we had such fun exploring this garden. I will definitely keep going back.